From a clean break to staying in the EU, British MPs are being polled on a variety of Brexit plans today in a bid to break the paralysis in parliament. 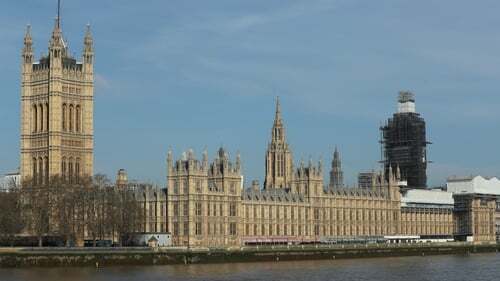 A total of 16 proposals were submitted, out of which House of Commons Speaker John Bercow selected eight to be voted on with green paper ballots. Some build on Prime Minister Theresa May's twice-rejected divorce deal while others offer stark alternatives - including leaving without a deal and stopping Brexit altogether. Several proposals advocate Britain remaining in the EU customs union after adopting May's withdrawal plan and its mandated implementation period to the end of 2020. Committing fully to the Customs Union would ensure the Irish border remains relatively free-flowing after Brexit - one of the main points of contention. This option is favoured by the main opposition Labour Party - alongside close alignment to the EU single market - as well as by cross-party groups of MPs. But opponents argue it would hinder Britain's ability to strike trade deals with countries around the world, and the Conservative Party manifesto vowed Britain would leave the customs union. Although outside the EU, Norway is in the European Economic Area (EEA) - alongside Iceland and Liechtenstein - meaning it benefits from membership of the single market. EEA countries must also allow the free movement of goods, capital, services and people - the EU's four freedoms - with member states. They are not in the customs union but belong to the European Free Trade Association (EFTA), which Britain co-founded in 1960 and governs bilateral trade deals with the EU and other countries. EEA membership would ensure Britain's large services sector - including the financial hub in the capital - is undisturbed by Brexit. But critics say it would leave the country hostage to EU rules without a say in them, and fall foul of the promises to limit immigration. Conservative George Eustice - a former minister in May's government who quit over Brexit - tabled an amendment for Britain to become a member of both, with "new protocols" governing the Irish border. This approach would replace May's withdrawal agreement. Some lawmakers pushing the Norway model have proposed London adds comprehensive customs arrangements with the EU to ensure the Irish border remains frictionless. Dubbed "Common Market 2.0", it has been proposed by a cross-party grouping and is thought to have one of the best chances of securing a majority. Many Remain-backing MPs see a second referendum as the most viable path towards preventing Brexit, while others believe it could simply break the stalemate. The path to such a vote remains highly contentious. A compromise amendment put forward by some Labour MPs calls for "a confirmatory public vote" on any deal reached with the EU. That could garner more support than a vote earlier this month which saw a majority of MPs reject postponing Brexit to hold another referendum. If no alternative course can be agreed, Britain will default to "third country" status with the EU as early as April 12, with trade relations run on World Trade Organization (WTO) rules. This involves tariffs and increased barriers that could disrupt the seamless supply chains that connect Britain and the EU. Lawmakers have already overwhelmingly rejected this option, but will get the chance to vote on it again. They will also consider a "managed" version put forward by arch-Brexiteer Marcus Fysh with more temporary arrangements and agreements put in place. The most dramatic option MPs will vote on today would cancel Brexit if a no-deal departure was just days away by revoking Article 50 - the mechanism that set a two-year clock ticking down to Britain's now-delayed exit. An online petition to this effect has garnered nearly six million signatures in recent days.